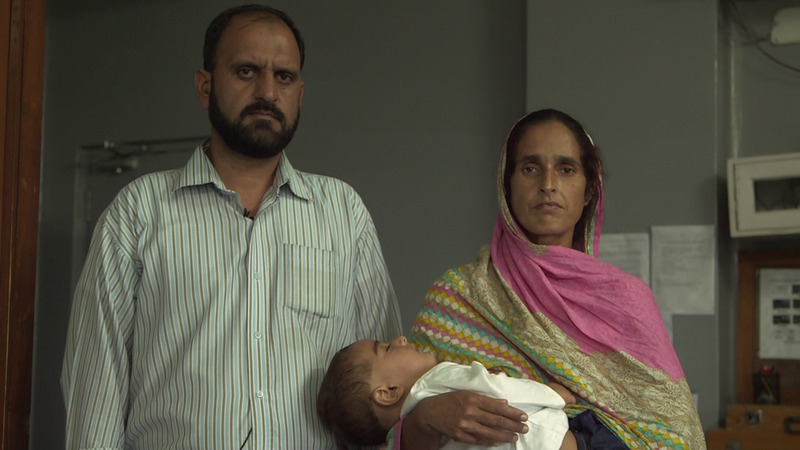 Little Saim Khalid, a one and a half year old child from Lahore in Pakistan had retinoblastoma, an eye cancer. He would have lost both eyes had his mother not brought him to Dr Swathi Kaliki at LVPEI who administered laser transpupillary thermotherapy (TTT) to Saim. At 6 months, baby Saim had been diagnosed with eye cancer and referred to an oncologist for chemotherapy. After an agonizing six months, the parents were told that the cancer was not responding to treatment and both the eyes would have to be removed to save the child’s life. Frantic enquiries by the mother then led the Abu-Dhabi based father to arrange for their travel to India. On their third trip in less than 4 months, Saim’s parents have been courageously facing visa delay problems, cash crunch, job insecurity and over an year’s separation from their two older children left behind with family in Pakistan Occupied Kashmir (POK). But the grateful couple is willing to continue to travel to LVPEI to complete the full course of Little Saim’s treatment. A tooth for an eye! Bhagyamma lost her vision nearly 25 years ago due to severe body rash as a reaction to penicillin injection that scarred the mucous membrane in her eyes. 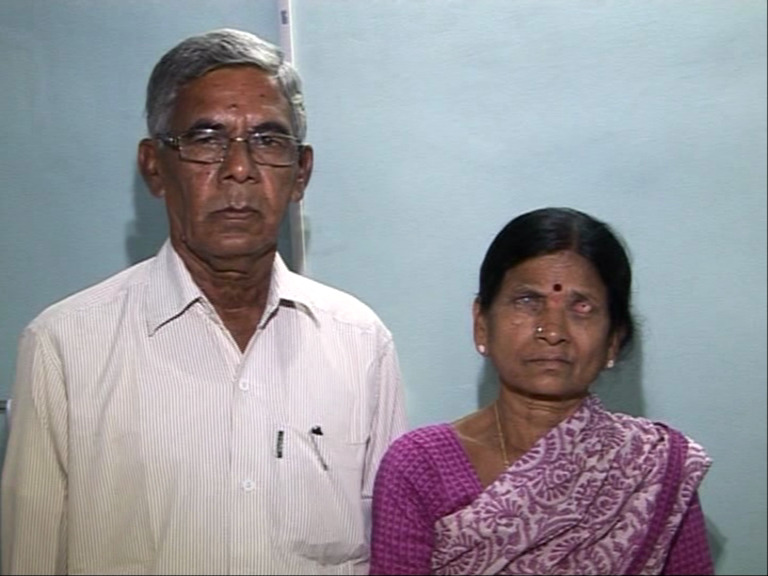 In pursuit of treatment to restore her vision, she eventually visited LVPEI in 1993 and continued her association with Dr Virender Sangwan. In 2010 Bhagyamma and her husband Lokha Reddy again came to enquire if she would be a suitable candidate for the MOOKP procedure a visiting US doctor was performing at LVPEI. Modified Osteo Odonto Keratoprosthesis (MOOKP) integrates a prosthetic cornea with the hostile ocular environment of the severely dry, keratinized eye that can result from autoimmune disorders such as Stevens-Johnson Syndrome, a condition that Bhagyamma suffered from. In the first stage, the patient’s tooth was harvested. The tooth and adjoining bone were cut down and a hole drilled through the center of the tooth root. An artificial cornea lens was fitted into the tooth and inserted under the skin of her cheekbone to allow normal tissue and blood vessels to generate around it. Three weeks later, this device was surgically removed from under her cheek skin and fitted to the front of her left eye to permit light to filter through to the retina or film layer at the back of her eye. A skin graft was also performed requiring a patch of Bhagyamma’s oral mucosa to be removed and used as a cover sheet for the lens-embedded tooth device to make the front of the operated eye look as natural as possible. A day after the final surgery, Bhagyamma was thrilled that she could see again. She is immensely grateful to Dr Sangwan for facilitating the miracle of sight, and to LVPEI’s meticulous documentation process for detailed ophthalmic history, a prerequisite for the complex procedure.